Kelodown were named winners of Heat For of BurySOUND 2018 at The Hunter Club last night (16th Feb) in what was a very close heat. Unwaves, a duo from South Suffolk, kicked off the night with their impressive instrumentation (which included the drummer playing the drums whilst singing and implementing synths into the music) and catchy tracks. Their EP Foam Hands is a good listen, go check it out! Next up were Lemondaze, a shoegaze quartet from Cambridge. From the start, they looked in their element up on stage, with tracks like Tremolo and Liquid Rush so smooth with their trademark sound flowing through. A real band to watch over the coming months and year. Having got to the final last year, Maverick were hoping to go one better this year. A slight change in their musical style saw a more grungier tone which culminated in a ferocious but slick performance. We love a band who has great stage presence, and Maverick had just that! Formed at the local West Suffolk College, Pop rock outfit Kelodown are a relatively young group, however, this was forgotten about as they launched themselves into tracks like Occupational Hazard. The crowd absolutely loved the band, and it’s clear to see why with their inch-perfect vocals and intricately jingling guitar riffs. They reminded us of Ipswich’s Underline The Sky, go check them both out! Finishing off the night was ALL WE KNOW. What was only their second gig turned out to be a huge success with each track flowing into each other, added in with a rather rowdy crowd and punchy, tight riffs. Relentless rehearsing has helped the band so much, the trio are definitely ones to watch in 2018. Listen to Fractured, it’s an absolute banger! Headliners War Waves, from Ipswich, played a great set whilst the judges were away deliberating. Although with ourselves judging we didn’t get to see all of the set, we loved their collection of tracks! 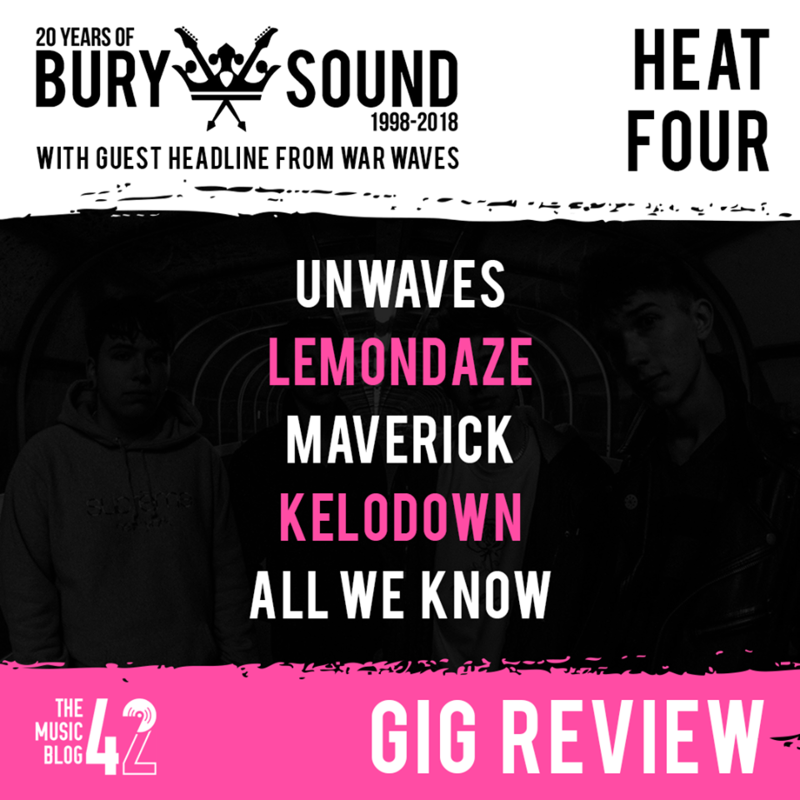 Next up: BurySOUND Heat 5 @ The Hunter Club on 23rd February! Featuring Abbey Green, The Catch, Eeeyore, Influx of Insanity and KULK! 6pm start!